I am Single Parent to a 9-year-old boy. I don’t fit the stereotype of an African-American single mom. I’m 3x college educated, his dad is active in his life, we co-parent well, we do not depend on government assistance, and we are independent. What has helped is having friends and family support us in raising our son. I made the decision to return to school when my son was one year old. I received my master’s and my doctorate degrees during the first seven years of his life. I worked full time while going to school and would study at night while he was asleep. He was my motivation. When you hear the term ‘single parent’ what are the first thoughts that go through your head? The classic stereotype is usually a single mom, who chooses to stay out of work an d raise their children, relying on government assistance. Or there is an assumption that the single parent households are less than and incomplete compared to two parent families, therefore making the children suffer as a consequence. Unfortunately, some people will put race into their stereotype when the term single parent comes up and think that black mothers, in particular, are irresponsible in their parental duties and that the fathers deserted them. These are foul stereotypes. We should look at the definition of a single-parent family to clear things up. 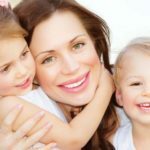 A single-parent family “are families with children under age 18 headed by a parent who is widowed or divorced and not remarried, or by a parent who has never married.” This means that parents living together but not married are a single parent family. This also shows that a parent can be a single parent because they lost their spouse, not because they choose to be single, they are just widowed. Being a single parent comes with many challenges and the unneeded stereotypes and judgment don’t need to be added on. Most single parents are mothers. This is actually an accurate statement; “approximately 82.2% of custodial parents are mothers (Wolf, 2017)” The most common of these single parent mom homes are those headed by divorced or separated mothers, followed by never-m arried mothers and then widows. 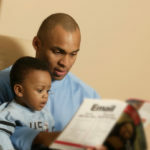 More than half of single parent families are black, but this does not make them negligent or uneducated. There are many single black parents who are productive and successful! Plus, “since 1990, births have declined among African-American teens and risen among white teens, who comprise two-thirds of teen mothers (Encyclopedia, 2003).” So race isn’t a factor on whether you will be a single parent or not. If you and your child’s other parent are splitting, you need to handle the situation delicately and talk early and often. Try to make the transition as smooth as possible. One thing to always remember is to not talk negatively about the other parent. This could harm the child in the long run. 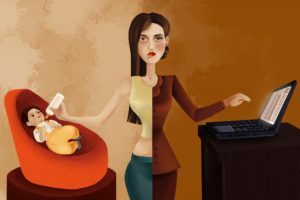 In the first few years after a split, “the children have higher rates of antisocial behavior, aggression, anxiety, and school problems than children in two-parent families (Encyclopedia).” Try to avoid conflict and take time for family, your time is one of the most important things you can give to your children. Having other people involved in your child’s life also gives you a break and helps your child socialize with others. Also, if your child’s father is not in the picture, know that there are good male role models, out there. Whether it is a male in your family or otherwise. There are so many resources for help out there and most families want to help you out as well. 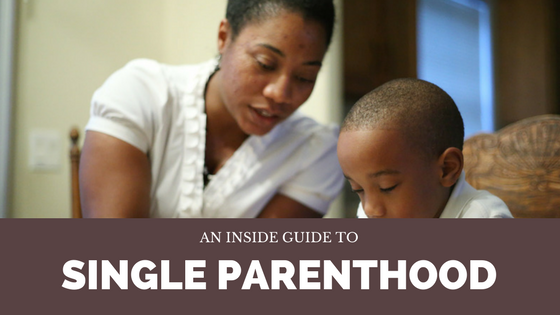 Being a single parent doesn’t mean being alone. Keep trying to rise to the challenge, seek help when you need it, and do the best you can.